Surrender at 20: 7/1 PBE Update: New Skins for Aatrox and Malphite, Headhunter Caitlyn Updates, and more! 7/1 PBE Update: New Skins for Aatrox and Malphite, Headhunter Caitlyn Updates, and more! 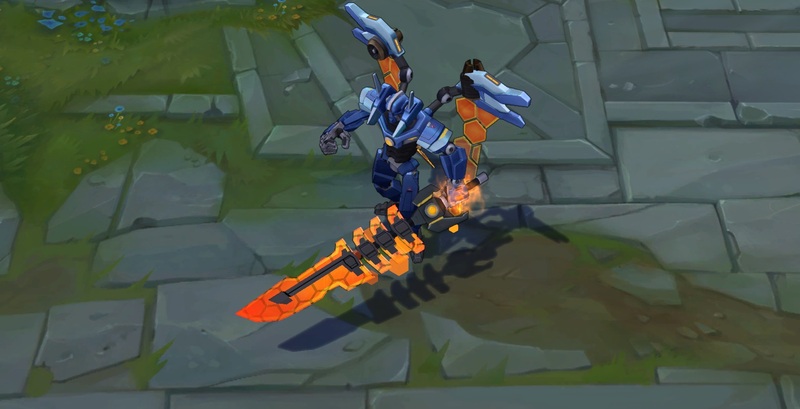 The PBE has been updated with two new skins - Mecha Aatrox and Mecha Malphite! Headhunter Caitlyn is also back with several changes, as well as the Summoner's Rift Update returning for testing, several new "Doom" // Nightmare bot strings, and much more! We have two new champion skins in this PBE patch! When his passive / shield is down, he turns red. 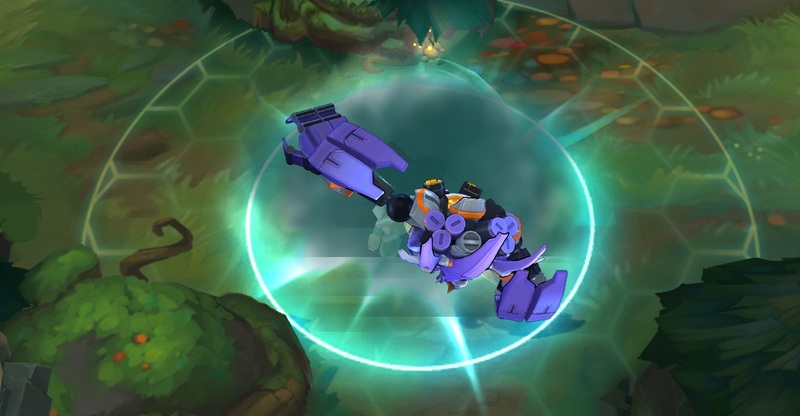 To go along with our Mecha duo up there, we also have a new Mecha Ward skin! 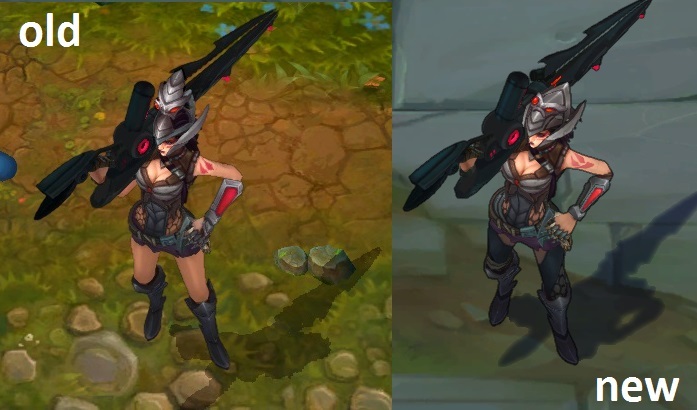 Here's a comparison between the initial Headhunter Caitlyn and the one from today's update. Many of the strings mention frightening new "Doom" abilities - these are the in-game text taken from the buff's on the unit. There are both abilities and "Bonus Doom"
"Doom Amumu - Doom Amumu’s Despair has started making everything near him sad too. So very sad. All allied units within range of Doom Amumu cry in sympathy with him. His Curse of the Sad Mummy now also reaches further. " "Doom Annie - Doom Annie can set alight nearby enemy towers and burn everything. She also brought her bear Tibbers. Have you seen him? " "Definitely Not Doom Blitzcrank - Doom Blitzcrank has powered up all his systems, giving him extra Rocket Grabs, a gigantic Mana Barrier and Static Field, and a Power Fist that knocks multiple enemies into the air. But it’s definitely not him, so don’t worry. " "Doom Cho'Gath - Doom Cho’Gath grows in power as he grows in size. As he gains stacks of Feast, his Rupture and Feral Scream grow larger. " "Doom Ezreal - Doom Ezreal’s abilities have been fragmented into multiple energy waves. " "Doom Fiddlesticks - Doom Fiddlesticks' abilities have fragmented to become even more terrifying, and the his ghosts could be anywhere nearby where you have no vision, waiting to Crowstorm from the darkness. " "Doom Galio - Doom Galio’s Resolute Smite and Righteous Gust have fragmented, and he will periodically create taunt zones next to nearby enemy champions. " "Doom Karthus - Doom Karthus periodically Death Defies while still alive, and his abilities have fragmented. " "Doom LuxDoom Lux’s abilities have been fragmented into multiple light beams. " "Doom Malzahar - Doom Malzahar’s abilities have fragmented, and he’s brought extra voidlings with him from the void. " "Doom Wukong - Doom Wukong’s Nimbus Strike creates additional clones which knock enemies into the air when disappearing. His Cyclone also summons Decoys that spin alongside him. " "Doom Morgana - Doom Morgana’s Dark Binding has fragmented and also added to her Tormented Soil. " "Doom Veigar - Doom Veigar calls down a ring of Dark Matter around himself periodically and his abilities fragment on minions. " "Doom Ziggs - Doom Ziggs’ Mega Inferno Bomb has fragmented, and his bombs have started rolling around, chasing enemy champions. " "Doom Zyra - Doom Zyra’s Rampant Growth will spawn extra plantlife near enemy champions within range of her. " "Bonus Doom: Twilight Shroud . This champion creates a smoke cloud in an area for a short time. While within the cloud, this champion is stealthed and gains bonus armor and magic resistance. Attacking or using abilities will reveal them briefly. Enemies inside the smoke are slowed. " "Bonus Doom: Rebirth . Upon taking lethal damage, this champion will transform into an egg with 100% health. If the egg survives for a short time, the Champion is revived with the same percentage health that their egg had. " "Bonus Doom: Rebirth . This champion was recently reborn and must regain their strength. " "Bonus Doom: Shadow WalkWhen out of combat for a short time, this champion enters stealth only being able to be seen by enemy champions within range. " "Bonus Doom: Burnout . This champion scorches the earth where they walk, leaving behind a trail of fire. " "Bonus Doom: Permafrost . This champion creates pools of frost nearby, slowing all enemy champions and minions moving through them. " "Bonus Doom: Garen . Every brush you can’t see into nearby this champion, could have Garen hiding in it. Demacia! " "Bonus Doom: Onslaught of Shadows . Spectral riders are summoned alongside this champion, causing enemy champions and minions they touch to flee in terror. " "Bonus Doom: Howling Gale . This champion summons whirlwinds nearby that briefly knock enemy champions airborne and disappear after a short time. " "Bonus Doom: Mirror Image . Whenever this champions is below 40% health, they create a clone of themselves. " "Bonus Doom: Mirror Image . This champion has recently created a mirror image of themselves and cannot do so again for a short time. " "Bonus Doom: Paranoia . This champion reduces the sight radius of nearby enemy champions and minions. " "Bonus Doom: Aegis Protection . After auto-attacking or using an ability 4 times, this champion will block the next incoming turret attack or basic attack from an enemy champion, siege minion or large monster. " "Bonus Doom: Hallucinate . Whenever this champion is below 40% health, they create a clone of themselves, which explodes when dying dealing magic damage to nearby enemies. " "Bonus Doom: Hallucinate . This champion has recently created a clone of themselves and cannot do so again for a short time. " "Bonus Doom: Ravenous Flock . Ravens circle this champion and strike out at nearby enemies dealing magic damage. This champion is healed for a portion of the damage dealt to champions and minions. " "Bonus Doom: Death Ray . This champion fires laser beams in a pattern around themselves, dealing magic damage to every enemy they hit. " "Bonus Doom: Blood Scent . This champion reveals enemy champions within range with less than 50% health. " "Bonus Doom: Blood Scent . This unit has been detected by a Doom Bot, all enemy champions have vision of this unit. " "Doom Bots' abilities have been dangerously mutated." "Click on Doom Bots to read their buffs." "Doom Bots now have Bonus Doom!" After being pulled off the PBE late in the last cycle, the Summoner's Rift update is back and available for more testing! A quick scan failed to reveal any super significant changes, but feel free to check out the dedicated Summoner's Rift update page for a better look! Tooltip updated to "Passive: Auto attacks deal +10 physical damage vs. monsters." from +10 AD vs Monsters. Unique active cooldown increased to 60 from 45 seconds.